Every summer, Tofino has an issue with swelling on his hind legs, without causing lameness. This mostly happens to older sport horses, or those on stable rest. In general, I would say with any swelling, always contact the vet or stable manager to make sure it is nothing serious. They will most likely check for heat and tenderness in the area, to rule out any injury. Even though it looks pretty bad, he moves without pain or discomfort. I did get him checked, confirming that it is stocking up. If there is no heat or pain with the swelling, it is most likely what they call “stocking up” which means excess fluid accumulation due to an impairment of lymphatic system. 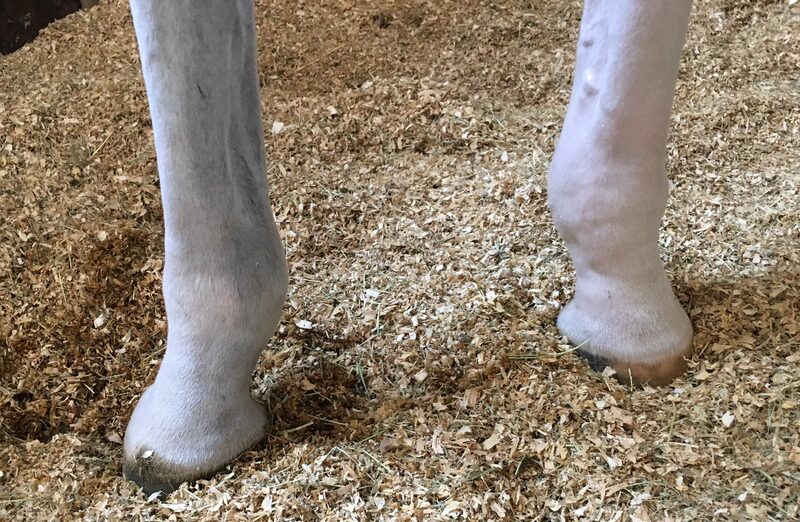 This happens mostly to inactive or older horses where fluids naturally tend to accumulate in the lower hind legs where the body fails to pump fluid efficiently back to the heart the same way a pregnant woman would have swollen ankles. 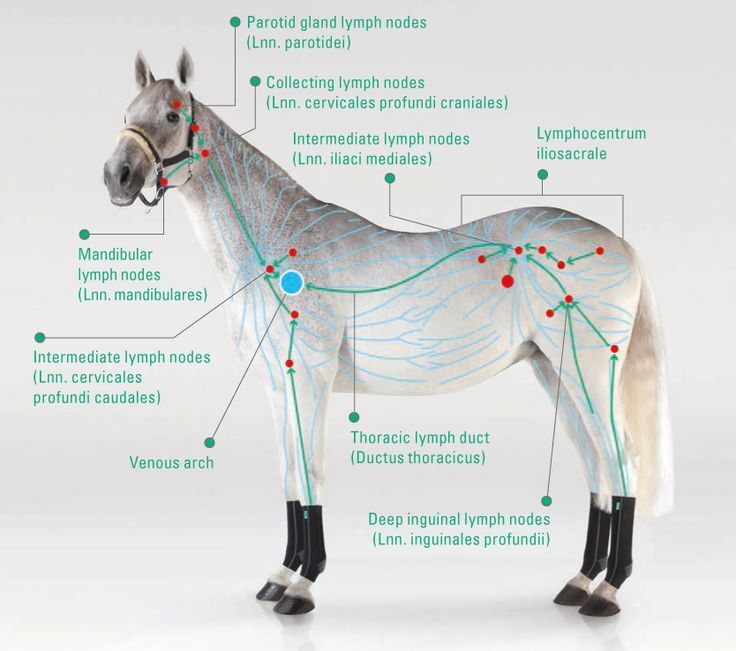 In most parts of the horse’s body, the lymphatic system’s job is literally an uphill battle. To push the fluids against the force of gravity, the system relies primarily on the pumping motions of the digital cushion in the hooves, and secondarily on the muscles, tendons, ligaments and joints in the legs. When confined to a stall, though, a horse doesn’t move as much, leading to the impairment of the lymphatic system pumping mechanism. Even though the leg is swollen, movement is not compromised and therefore, it is crucial to keep your horse exercising and moving to aid in the drainage of the fluid. By staying consistently active throughout the day and night, a horse maintains a healthy equilibrium between fluids entering and exiting the body tissues. 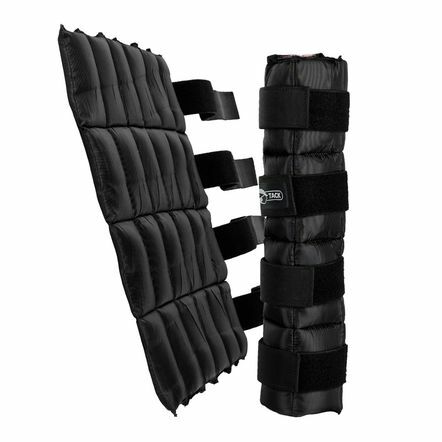 I personally use the Finn-Tack Ice Wraps after strenuous rides, and use the Veredus Magnetik boots every night. 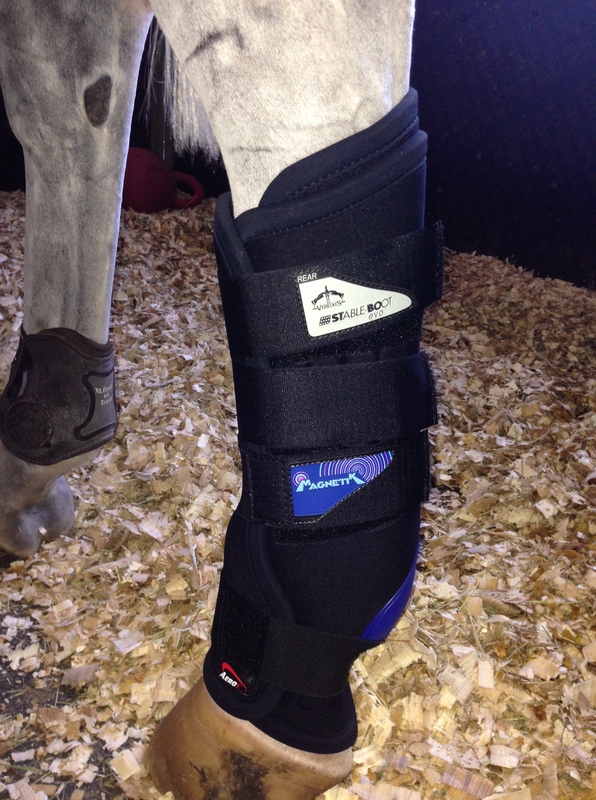 You can also bandage the legs but it is safer to use a wrap in order to prevent uneven pressure. Some horses, like Tofino, roll on a daily basis. As strange as it may seem for non-horsey people, this is something very normal. It is actually a sign of good health if they are able to roll 180 degrees. It can be dangerous at times, depending on the surface, or during a colic episode, or, while still having tack on. You can tell the difference when a horse is rolling for “fun” or when they are doing so for “pain” or “discomfort”. When a horse is rolling normally, they will circle around and check the ground a few times. They are able to stretch their body and spine. It helps to maintain their flexibility and health, as well as keep them cool. 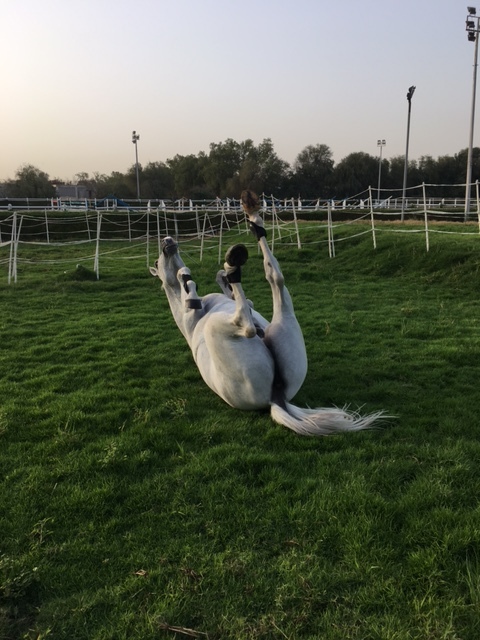 If a horse drops down suddenly and rolls vigorously, this is a sign of discomfort. 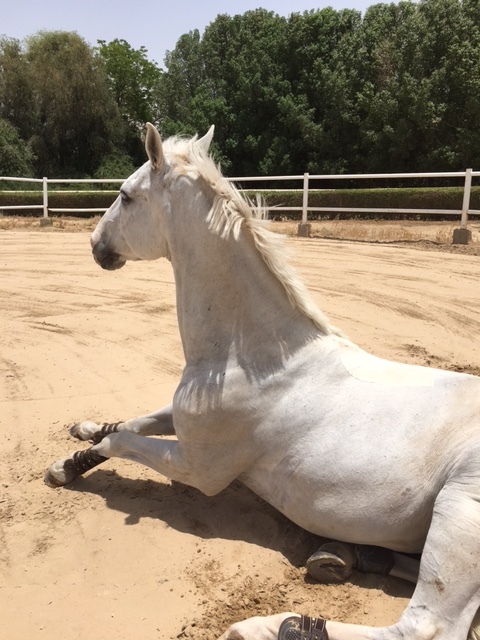 If your horse has musculoskeletal pain, it is a lot harder for them to lay down. 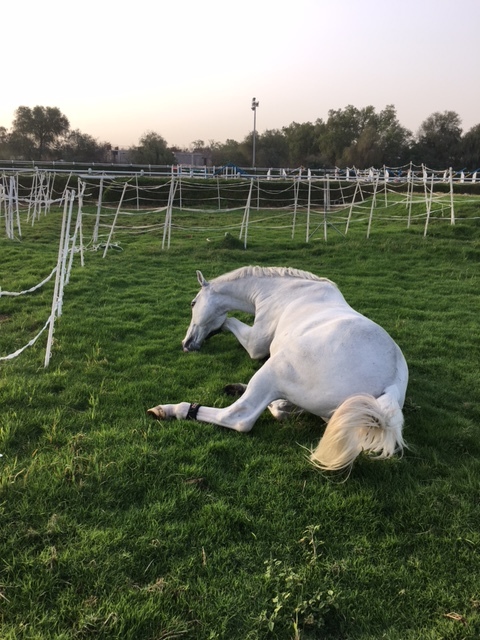 Naturally, when horses feels safe and secure, they will allow themselves to roll and lay down. As they are prey animals, lying down is a more susceptible position for them so give them time and space to do it at their own pace and pleasure. Does your horse like to roll?